holiday gift guide: your artsy + crafty sister(s). They're the ones who listened to you lament over boys that sucked, the ones who would knit pretty scarves or socks for friends and family for Christmas, and have an endless pot of tea any time you came to visit. To sisters near and far, these are for you! This is so cute! 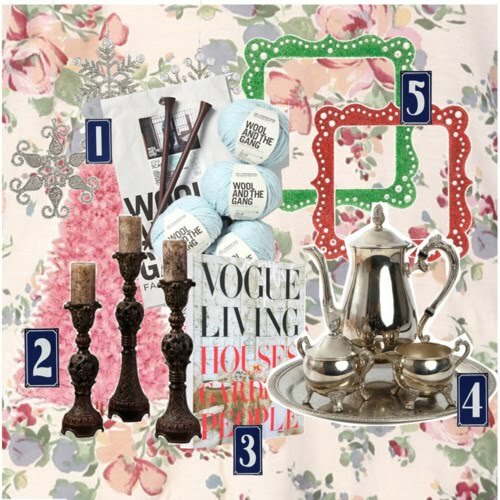 I love the vintage tea set and that vogue book will be making an appearance on my coffee table real soon. I would definitely love to receive that wool and the gang knitting kit! Great picks!